Imagine that you have just woken up from a buzzing sound of your alarm on the iPhone. You hustle out of bed and check your WhatsApp messages and feeds on Instagram and Facebook. Either someone in some part of the world is getting married, having a baby, making a smoothie or just plain talking about their amazing life. You wonder how come everyone’s so happy? Are you the only one checking the profile and status of others in the morning with nothing constructive to do, while the world seems to be really happening for others? In the world of constantly changing forms and norms, it is essential to ground yourself to a gentle, yet positively life-affirming routine to keep you sane and still. It is easy to get swept by the unending stories — in reality or on social media — that have stormed your life. It is one thing to read, learn and get inspired from things on Facebook and Instagram, but it is another thing to feel lower emotions like envy, hate, anger and detest for others, not to mention the news feeds that too often reveal hostility and hopelessness. One of the essential habits to really promote hope and positivity in our lives is the morning routine. It is so important to get started on the right note (just like a musical note) to set the tone for a fulfilling and positive day. A good morning routine can positively influence your attitude, performance and energy levels throughout the day. Waking up early is key to having a more productive day. In Vedantic tradition, waking up at 3 a.m. is considered ideal, as it is the time of Brahmamuhuratam, when gods and goddesses awaken. Getting to sleep on time to complete the 7- or 8-hour rest period, and then awakening fresh and energized, is the best way to start the day. Virgin Group founder Richard Branson reflects on the importance of using his morning time to set a positive mind frame for the rest of the day. He says that by waking up early, he has time to begin the day by doing something he enjoys, like exercising or spending time with his family. • Drinking water as soon as I wake up — Research has proven that drinking water as soon as you wake up increases your metabolic rate by 24 percent. An increased metabolic rate means an enhanced digestive system. Drinking water immediately after waking up purifies the colon, making it easier to absorb nutrients in the body. I personally drink four glasses of water immediately after waking up and have felt great for the past several years using this routine. My skin glows and the energy levels are high throughout the day. • Oil pulling — Also known as “kavala” or “gundusha,” oil pulling is an ancient Ayurvedic dental technique that involves swishing a tablespoon of oil in your mouth on an empty stomach for around 20 minutes. This action supposedly draws out toxins in your body, improving oral health and your overall health. Firstly, pick an oil. Most people use coconut or olive oil as it also has strong antibacterial properties, but you can use any other vegetable-based oil. I personally prefer olive oil as it has almost no aftertaste. Then, take a tablespoon of oil and swish it around your mouth for 15 minutes. The idea is to gently swish it and not swallow it at any cost. The oil will double in size as it draws in saliva and toxins from the body. Make sure not to swallow these toxins — the total opposite of what you are trying to do. Once the 15-20 minutes are up, spit the oil out into the trash (not your sink, where the oil may solidify and block up the drain) and swish your mouth with warm salt water. Finally, brush and floss as you normally would. Cleaning the tongue is a good habit, as Ayurveda recommends that most toxins in the body are reflected on the hygiene of the tongue. Keeping it clean with a copper or a stainless steel tongue scraper is a good habit. • Journaling — People often wonder after waking up what to do, and having no clarity on what to do, they go back to sleep. It’s better the night before to write down the tasks you want to accomplish for the day. Journaling, or penning your thoughts, aspirations and hopes on paper, is a good way to kickstart a positive day. Writing positive affirmations each morning surely helps in creating a good head space to embark on the fresh day. I personally keep a gratitude journal and write for 5-10 minutes on things I am grateful for in my life. The momentum of being thankful feels like heartfelt joy in my body and mind. It makes one feel that life is truly beautiful. It is! If you feel you don’t have time to exercise, walking to the nearest subway station or bus stop, or even just around the block, may be helpful. Movement in the morning is key to breaking the effect of inertia and creating energy in the body that you can carry forward throughout the day. I prefer to do different exercises, some days yoga asanas, some days lifting weights and some days I take a brisk walk in the park nearby. Having some activity at the beginning of the day makes me feel bright and energetic. The “frog” that he is talking about is your most important work, the one you’re shirking the most because it’s so big and important that it’s looming over your head. Building the good habit of completing your biggest task first can give you a huge boost of accomplishment first thing in the day. Keeping the mind still and focused is what is needed to really break that ice and live the day to the fullest. Dr. Kavita Chandrashekhar is an Intuitive Coach who shares her knowledge of Celtic wisdom and modern-day life mastery in her sessions and seminars. Her work has featured in national newspapers and the Chicken Soup for the Soul series. 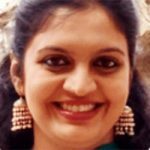 Kavita is a doctor of Naturopathy and has a Ph.D. in Metaphysics. She offers sessions on past life regression, inner child integration and Rebirthing breathwork. She lives in Pune, India. Contact her at Dr.kavitachandrashekhar@gmail.com. Visit www.drkavita.in.